BEIRUT (AP) — He has survived eight years of war and billions of dollars in money and weapons aimed at toppling him. 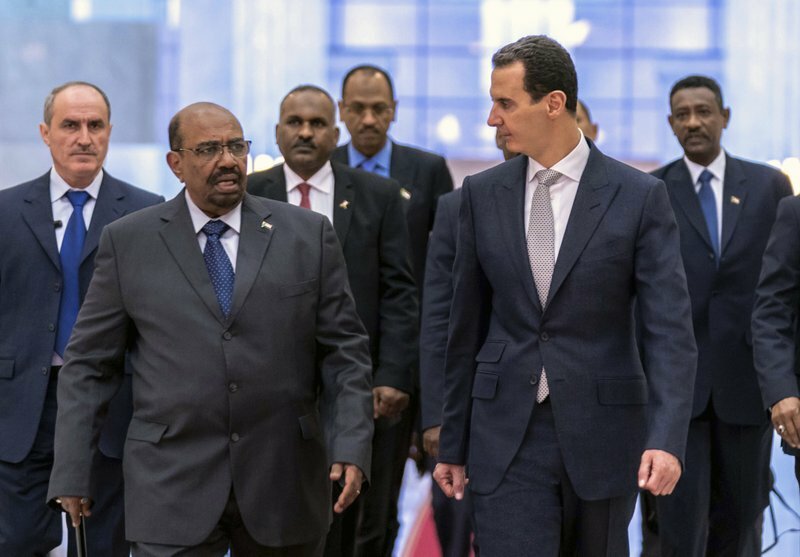 Now Syrian President Bashar Assad is poised to be readmitted to the fold of Arab nations, a feat once deemed unthinkable as he forcefully crushed the uprising against his family’s rule. After Assad led a crackdown on protesters in 2011, Syria was cast out as a pariah by much of the Arab and Western world. It lost its seat at the Arab League and was hit by crippling sanctions by the international community, as the US and European diplomats closed their diplomatic missions. The debate now appears to be about when, not whether, to re-admit Syria to the Arab League. At a meeting in Cairo on Wednesday, Egyptian Foreign Minister Sameh Shukri said Syria’s return to the League is connected to developments on the political track to end the crisis. Some officials in Lebanon insist Syria should be invited to an Arab economic summit the country is hosting next week, although final decision rests with the League.